SALE !!! 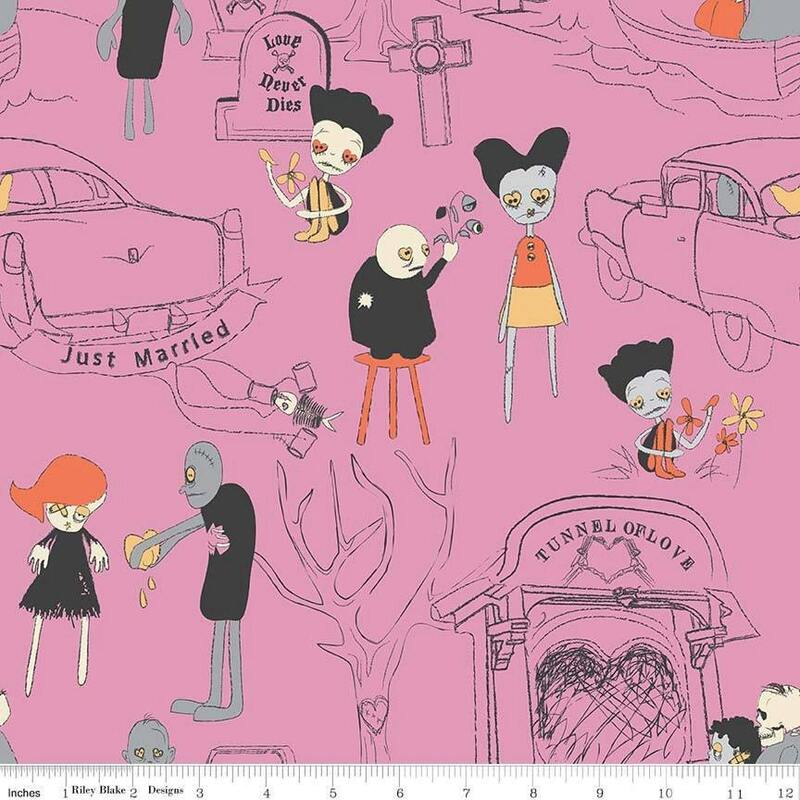 Riley Blake Zombie Love Main Pink Cotton Woven - Price per yard ! All 9 fabrics in this line are available to purchase in our Etsy Shoppe. Shipped timely ~ love this fabric !